The Osa Foundation supports organizations that empower human potential in underserved communities by creating Opportunities, offering targeted Support and improving Access to resources. Self-reliance: We value the dignity of hard work and consider self-reliance and sustainability to be the ultimate goal of our philanthropy. Equity: We believe that every person should have access to the resources needed to pursue and achieve their goals. Tolerance: We value and respect the diversity in our society. Innovation: We value critical, original thinking and creative problem solving. Integrity: We value honesty and transparency: accordingly we endeavor to conduct our work in a manner consistent with the highest ethical standards. We seek to support grantee organizations that embody these beliefs and values. To learn more about our story and investment philosophy, please click here. The Osa Foundation currently partners with organizations and initiatives operating in underserved communities that promote the following drivers of opportunity. Vision: High school and college graduates have the information about career pathways, career readiness skills, and job experiences they need to enter the workforce on a path to a financially sustainable career. systemic efforts to create an infrastructure in the Chicago area that affords students a seamless transition from high school to a variety of post-secondary options. Vision: First-generation and low-income students who aspire to pursue a college degree are given the support needed to ensure that they enroll in and graduate from college. systemic efforts in the Chicago area to ensure that these students are appropriately supported by institutions of higher education, the State of Illinois, and other relevant systems. Vision: Public school students benefit from educators who are encouraged to employ evidence-based, innovative approaches in their classrooms, equipped to leverage technology to meet the needs of all their students, and empowered to have a voice in policy decisions that will impact their ability to educate their students. efforts to equip teachers to be advocates for policies that will improve instruction and student learning. Vision: Public school students are consistently present and engaged in school, despite the significant barriers to engagement which are prevalent in urban education systems. programs that expose students to a wide array of career paths, motivating students to stay engaged in school. We seek to catalyze innovative ideas and programs. Accordingly, a portion of our program portfolio supports pilot programs and early stage organizations. We often renew grants for multiple years when programs are demonstrating significant impact. However, our funding is not meant to carry on indefinitely. The Osa Foundation recognizes the difficulty in taking advantage of opportunities when basic human needs are unmet. Therefore, we typically set aside a small portion of our annual giving budget for food, shelter and emergency medical care. Our primary geographic focus is Chicago, IL. The Osa Foundation currently accepts grant proposals on an invitation only basis. Through a rigorous assessment process, we identify and select results-oriented organizations whose programs and infrastructure bring innovation, excellence and sustainability to bear in executing their mission. The Osa Foundation makes grant decisions on a rolling basis pursuant to its grantees’ preferred timeframes. Upon invitation, please submit the following proposal materials electronically to Amy Sauer, Strategic Advisor, The Osa Foundation at amy@theosafoundation.org. A specific description of the results that you intend to achieve with this grant and description of measurements or indicators you will use to gauge your impact, including targets. If awarded a grant, you will be asked to report on these results at the end of the grant cycle. To learn more about when you will hear from us regarding your grant request submission, please click here. All grantees are asked to submit a grant report at the end of the grant period. Your grant award letter will indicate the suggested timeframe for submitting your report. The grant report shall include a discussion of your accomplishments for the grant period compared to the stated goals and targets that you previously laid out in your proposal. Please also share lessons learned and an identification of where you fell short of your goals or identified areas for improvement or opportunity. The suggested length is two pages. We are honored to highlight blogs written by our grantees. We invite you to read how they are making an impact. We look forward to showcasing recent blogs from other grantees each month. When Prosser Career Academy opened its doors in Belmont Cragin in 1959, it was not uncommon for high schools to feature active woodshops, auto shops, metal shops and other spaces for students to train for vocations. Today, Prosser is one of the few institutions within Chicago Public Schools to focus on providing such programming to its students. Principal Mark Schall, who has spent over 30 years as an educator and administrator, is very cognizant of this fact. As Schall explained, the focus at Prosser has shifted from vocational training to producing students who are career ready. This is exemplified the school’s one-of-a-kind Career and Technical Education(CTE) program. At the end of their freshman year, students tour the school’s “shops” and choose the one that interests them most. These classrooms fill their own wing of the building and include options such as auto body, digital media, culinary arts, machine technology and gaming. During the 2018-19 school year, students had a special first-time opportunity: a “renewable” shop for solar energy technology. In a proposal unveiled as part of its FY2020 budget recommendations, the Illinois Board of Higher Education (IBHE) is requesting a $25 million taxpayer subsidy to private institutions. If enacted, these funds have the potential to be either a carve out for higher income students, or a tool for improving equity in Illinois higher education; it all depends on the implementation details. Exploring the power of diversity in the teacher workforce. A whopping 40 percent of public schools in our country do not have a single teacher of color on staff and in 17 states, more than 95 percent of teachers are white, according to a recent study. Education research has a problem: there is a disconnect between schools and the research that is conducted to help them improve. We have exponentially expanded our knowledge, in recent years, of how people learn best, and of how school can be rethought to empower and engage learners, but the findings are not making the impact in classrooms that some—myself included—believe they could. My name is Liz, and I have a confession to make. I’m a Leadership Coach, I’m 30 years old, I graduated from Rutgers – Newark with a degree in English and have the most AWESOME COMPANY where I’m mentored by two brilliant women. But here’s my confession: I gain my most valuable skills from volunteering with Braven. Nationwide, a staggering number of children are chronically absent. While the causes are multifold, one stands out as especially significant: student health. 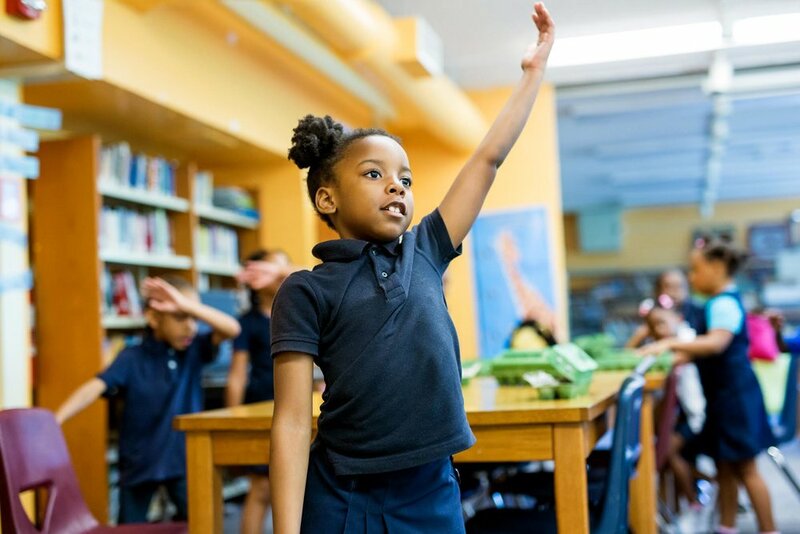 Taking action to address health-related chronic absenteeism can have a powerful impact on students’ academic success and well-being for a lifetime. Despite decades of analysis and initiatives, opportunity gaps persist for many students — from low-income students and students from various racial backgrounds to students with disabilities and those learning English as a second language. With conversations about equity on the rise, many instructional leaders are looking for tangible ways to expand learning opportunities for today’s underrepresented populations.